The W-4 is an Internal Revenue Service (IRS) form used by an employer to determine how much tax should be withheld from an employee's paycheck. Because the IRS allows a variety of deductions, the amount withheld can differ from person to person. Accurately calculating the allowances on Form W-4 will reduce the likelihood that you'll to pay additional taxes when you file your return. 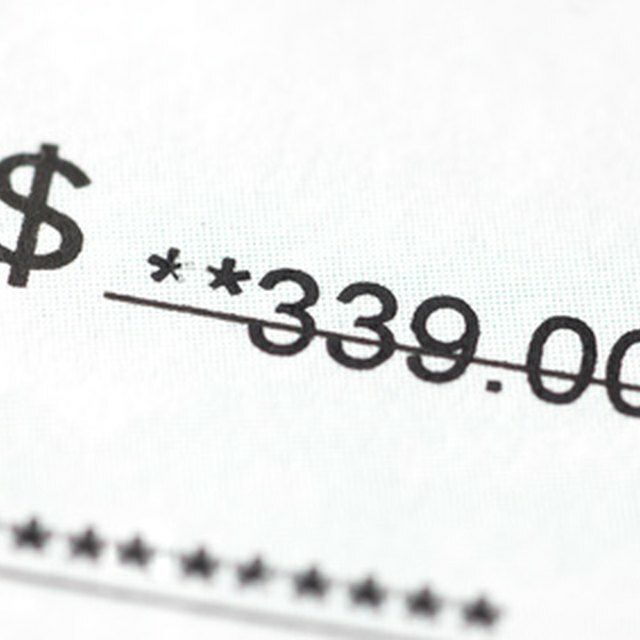 Every paycheck received from an employer indicates that at least three amounts have been deducted from the gross pay. These are the federal income tax withholding and the Federal Insurance Contribution Act (FICA) withholdings for Social Security and Medicare. These values are based on the entire gross income, unless a W-4, filed with the employer, alters them. The more allowances you can claim, the more gross income you can keep with each paycheck. Likewise, with fewer allowances, more money will be withheld from your paycheck. Ideally, the W-4 would allow an employer to withhold just enough tax that an employee would neither have to pay additional taxes nor need a refund when he files his annual return. Exemptions decrease the amount of tax that must be paid by decreasing the amount of income that is taxed. You can claim yourself as one personal exemption, and, generally, you can claim your spouse as another. There are also exemptions for qualifying dependents as defined by IRS rules. Lines A, C and D on the Personal Allowances Worksheet account for these exemptions. While filing as Head of Household is not really an exemption, it still has the effect of lowering your taxes if you qualify. It is indicated on line E of the Personal Allowances Worksheet. Deductions are also covered in the W-4 withholding calculations. Line B on the W-4 Personal Allowances Worksheet accounts for the standard deduction. If you have multiple jobs or there are two wage-earners in your family, you may need to fill out the Two Earners/Multiple Jobs Worksheet on page 2 of the form. If you plan to itemize your deductions, you may need to use the Deductions and Adjustments Worksheet, located on page 2 of the form. Read all instructions carefully to ensure the allowances calculations are correct for your situation. While exemptions and deductions lower your tax by lowering the amount of money you have to pay taxes on, credits lower your tax by lowering the amount of tax that has to be paid. Lines F and G cover the child care expenses tax credit and the Child Tax Credit, which are the two most common credits claimed on annual returns. IRS Publication 919: How Do I Adjust My Tax Withholding?